Hi there, my name’s Lynn! 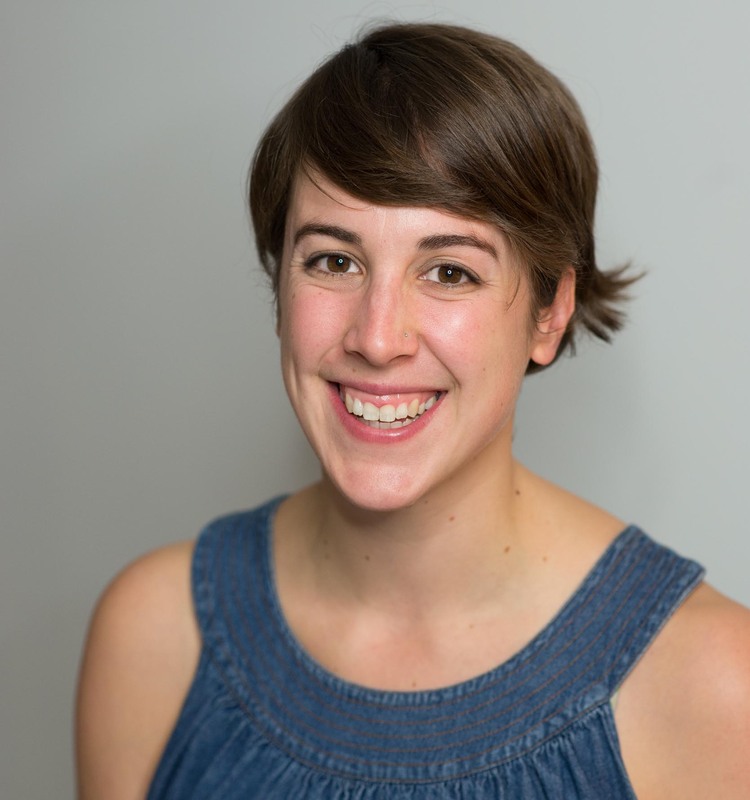 I’m a front-end code pro eager to deep-sea dive into your development project. My passion lies in creating responsive, well-structured and user-friendly websites for small and medium clients from any industry. Let me help you navigate the great unknown of the web. I’d love to hear from you! Sketch, Adobe Suite, MySQL, React.js, AJAX, SVGs, Regex, Drupal. Angular.js, Node.js, App development, UX/UI Design Practices. Tiff Canada On Screen is a collection of the most influential films, television shows, and moving art produced in Canada in the last 150 years. Together with the team at Grndwrk I used a React/Redux front-end to sort and display rich visual and text content stored in the Contentful CMS. Each film has a number of related works, displayed through an algorithm written specifically for this project. Design was done by the team at Tiff. 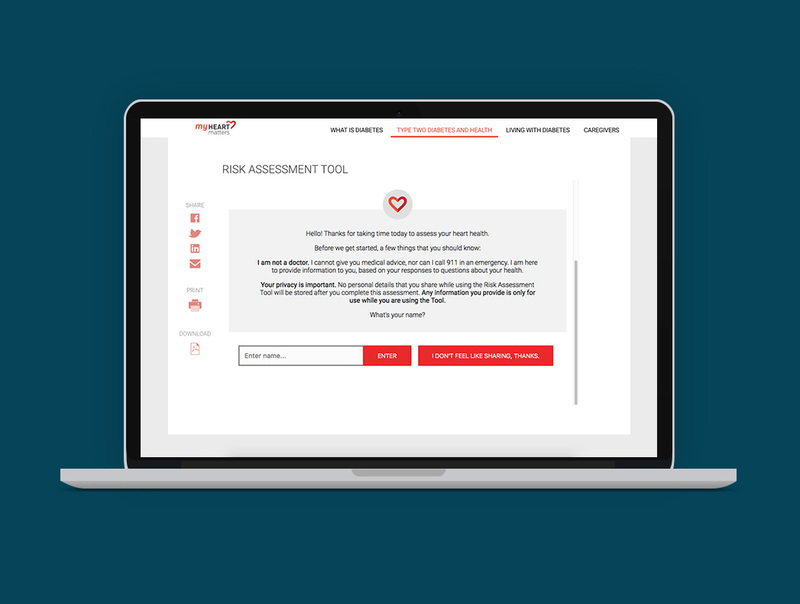 A tool to assess users’ heart health in a friendly, easy-to-use way. Using JQuery the bot collects users’ answers and responds programmatically in several different ways. Once the user has completed the conversation, the bot calculates users’ risk and provides as assessment. 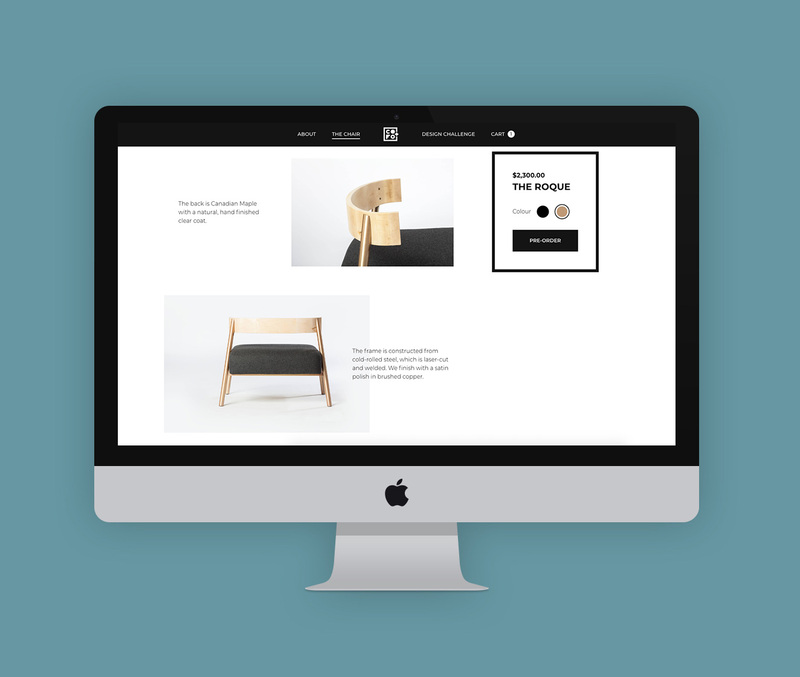 CoFo is both a home furnishing design store and a channel for up-and-coming designers to get their designs to market. eCommerce is run through the Shopify API with WordPress content + WuFoo forms integration. Smooth and consistent animations throughout the site add a unique flow and compliment the design. 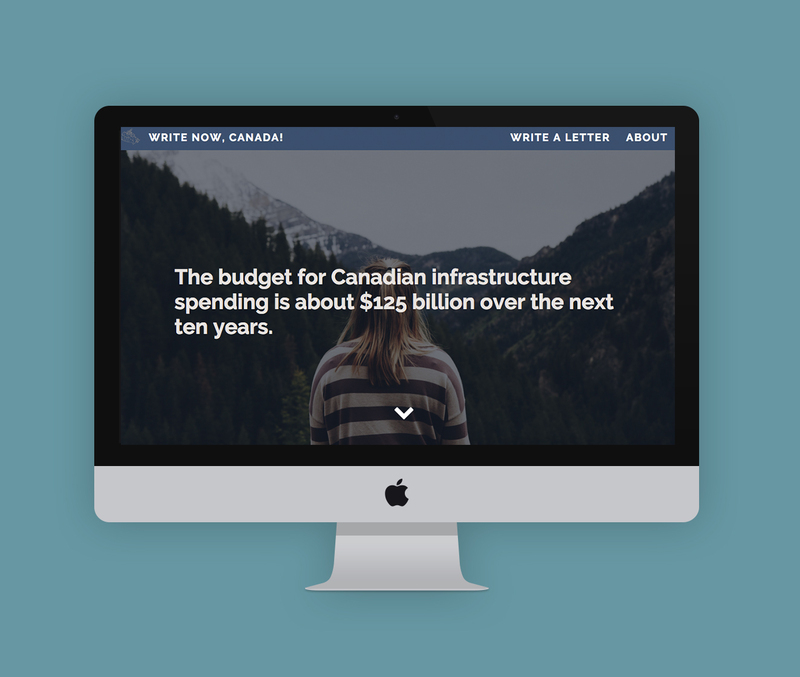 Write Now Canada! is a web app for activists seeking an easier way to connect with their MPs, MPPs and city councillors about the issues that matter to them. The app generates a letter addressed to the appropriate level of government based on the users issue, and gives the user the option to print or email their letter. The information that runs the app comes from the Open North API.